Prominent & Leading Manufacturer from Coimbatore, we offer socket weld globe valve, socket weld ball valve, socket weld gate valve and socket weld needle valve. 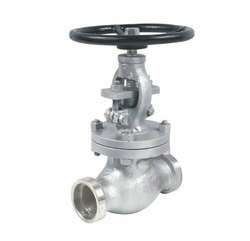 Forged Steel Globe Valves Forged Steel Globe Valves maintaining the norms of BS 5352. They are manufactured from excellent quality raw-materials procured from reliable vendors in the market. They offer high performance and are very cost-effective as well as durable. They are offer with either Treaded ends or Socket Weld ends. Valve Size 1/4" to 12"